Logos are often the first thing a customer sees when they approach your business, read an ad, or see your business card. Why do people use the cheap route when getting a logo? Is that logical, or do you find it baffling? 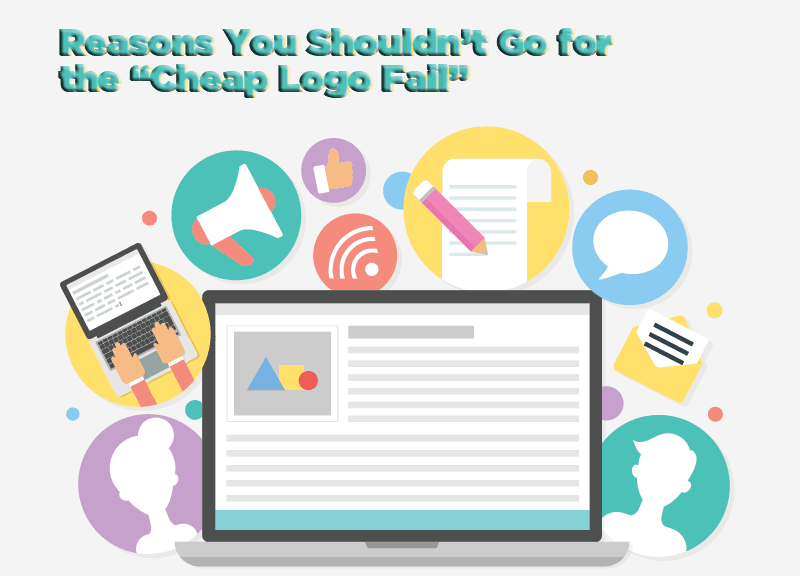 It would seem, based on the fact that you are trying to make a good impression, that logos are one thing that you do not want to be cheap out on or play the “How low can you go?” game. Here are a few reasons why. The thing is, when it comes to your logo, it isn’t about what YOU like. It is about what draws the visitors to YOUR site. It is also about what represents what you are offering, as a product or service. So, again, you don’t want cheap. You want what is right for you, and that includes color! A silly as this may be, cheap logo services often “borrow” clipart to use in your logo. No joke. It happens. Not only is this illegal, but your logo is going to feature a piece of clipart that is featured elsewhere. Your logo needs to be original. That means your logo is one-of-a-kind and not found elsewhere. Also, sometimes these “borrowed” clipart pieces look cheap and they have a look about them that looks like they are re-used. Have you ever logged into a place that offers “cheap labor” (not naming names) and you get this feeling like the pictures of people have been grabbed from a photo site (probably legitimately)? There is not necessarily anything wrong with that, but if you recognize the picture of a VA (virtual assistant) as a picture you just saw on a stock photography site, all of a sudden it doesn’t feel like quite the same service. You start to wonder what (or who) you are hiring. It is human nature and how we are wired. A good logo can be used in a color format or black and white. Why is this important? Well, if you need to use your logo in a black and white format, for whatever reason, and it looks bad, you’re in trouble. This means that you may need to go and get revisions done, costing you more money. A better way to put that is get it right the first time. If you are not sure if you want a black and white, keep a version of both, to help save on costs of edits. One idea is to have all black and white with one color item. Just some thoughts to watch what trickles out of your wallet (or bank account). There are countless horror stories of poor customer support when people use a cheap logo design service. The problem comes when their workload is high and multiple designers are working on a project. At this point, things can get lost in translation (and I’m talking simple miscommunication here, not necessarily language). This is not good when you’re trying to meet a deadline. There are some gems hidden in the world of cheap design services, but they’re buried and not worth the time. Besides, would you really want a person working on your logo who doesn’t have the confidence to charge a fair price? There is something to be said about that. In the end, you get what you pay for and hiring a great designer will give your business the credit it deserves. For me? I contacted a painter friend of mine. She painted the best logo. Well, it was a painting that told a story on who I am and we used it for the logo. It wasn’t cheap, but then her work is priceless… worth it all the way, and then some!